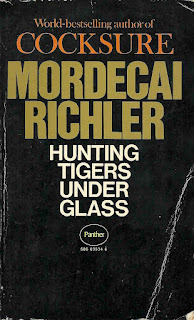 Back cover blurb: Mordecai Richler's deflations of human absurdities and pretensions in Hunting Tigers Under Glass are as merciless and hilarious as one would expect from the bestselling author of that scandalously funny novel Cocksure. Above all, though, it is his unique ability to entertain that makes this book pure joy to read. 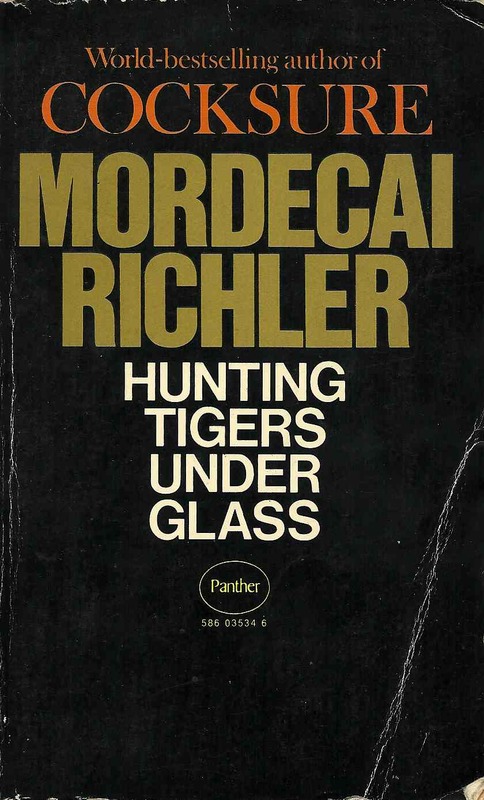 Quick flick reveals: Hunting Tigers Under Glass is the first collection of essays by celebrated Canadian author Richler, the contents of which originally appeared in such publications as The New York Review of Books and The New Statesman. Subjects include Norman Mailer, super-heroes and 'jews in sport'. Gives the impression of being somewhere in-between Tom Wolfe and Roland Barthes. Looks very interesting indeed and the fact that it has been out-of-print for 41 years seems puzzling.